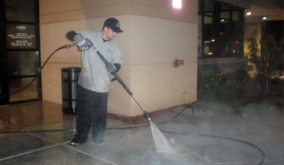 AZ Power Wash Pros is Sedona Arizona’s foremost pressure washing & property maintenance company. Cleanliness is next to Godliness, hence contact the exterior cleaning experts to reside in the midst of a spotless, sparkling and hygienic property in Sedona, Arizona. 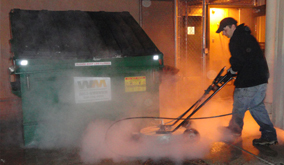 AZ Power Wash Pros has been in the cleaning business for past ten years. 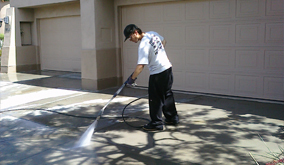 With a decade of experience in pressure washing services AZ Power Wash Pros in Sedona takes pride in boasting about offering quality services at affordable rates. 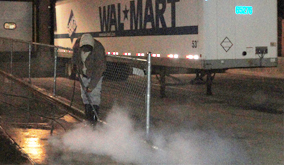 We specialize in power washing and property maintenance services. 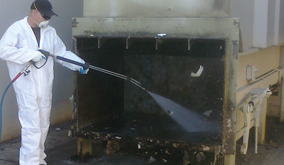 The key services include property maintenance, concrete cleaning, and gum removal. We work with low pressured steam washing system to clean the concrete floor without affecting the basic elements of the construction. We have a team of extremely highly skilled pressure washers who are specially trained to handle such property cleaning tasks efficiently. Removing rust stains from a concrete floor is very difficult. Often such rust stains can be found in the driveway of your home. Sometimes paint or other stains are also found in these areas of the building. Washing such tough stains without harming the beauty of the concrete or pavers is a difficult task. If you by mistake contact the inefficient pressure washing cleaners, they will work in an inept manner and damage your property. Thus, call AZ Power Wash Pros today and maintain your property in the condition. 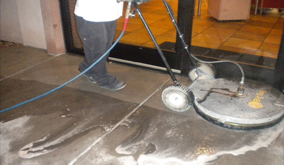 With over 10 years of pressure washing experience AZ Power Wash Pros is Sedona’s primary choice for pressure washing and property maintenance services. Don’t become a victim of property damage by hiring and inexperienced fly by night company, it may appear to save you money at first but repairing property damage in the long run can be much more costly. Whether your Sedona property is residential home or commercial business AZ Power Wash Pros experience, knowledge and safe practices will help protect your investments. Ask about setting up a customized maintenance package for pressure washing and cleaning your property for discounts and savings on service. At AZ Power Wash Pros, we take pride in quality service and offering affordable prices with exceptional customer service. Our Success is based on our customers 100% satisfaction. All our customers we provide a service for get more than just a contractor, they get the personal attention needed to establish a friendly business relationship. So when you need your Sedona property cleaned again or when friends or family members ask who to call for pressure washing, window cleaning, parking lot sweeping or one of our many other services you'll be happy to provide the number to your friends at AZ Power Wash Pros.